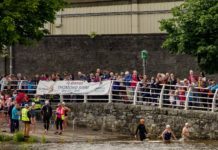 The Thomond Swim was blessed with glorious weather on 23 June and with this weather brought plenty of supportive spectators and excited swimmers. The swim is going from strength to strength with some 100 swimmers taking part in this years’ 1800 metre race. This event was supported by organisations such as St Michael’s Rowing Club, the Civil Defence, Limerick Marine Search and Rescue, to name but a few. The Limerick Post spoke to Harry Harbison, a member of the organising committee for the Limerick Masters, before he set out on his swim. Harbison spoke passionately about the Thomond Swim and how it brings the people of Limerick and across the country together. 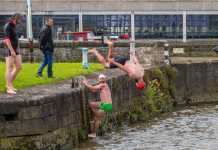 According to Harbison, the swim is a celebration of the beauty of the River Shannon and the city of Limerick herself. The race, which originated in the 1950’s, includes people of all ages. Harbison explained that the age of the participants this year ranged from 16 to 70. Also participating in the event was Elisa O’ Donovan, founder of Swimable Limerick. This was O’Donovan’s second time swimming the race. She spoke to the Limerick Post about her love of the Thomond Swim and the aim and dream of Swimable Limerick. 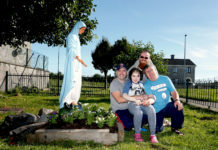 Swimable Limerick hopes to obtain a designated bathing area in Limerick. 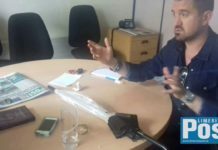 O’Donovan stated that such an area would benefit Limerick city, allowing the public and people of all swimming abilities to swim in a safe and secure area, while at the same time bringing us back to nature. 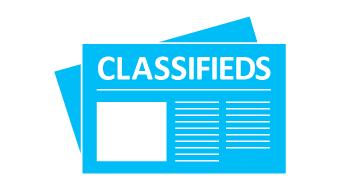 Click here for more sporting news.